Should the U.S. kill the penny? 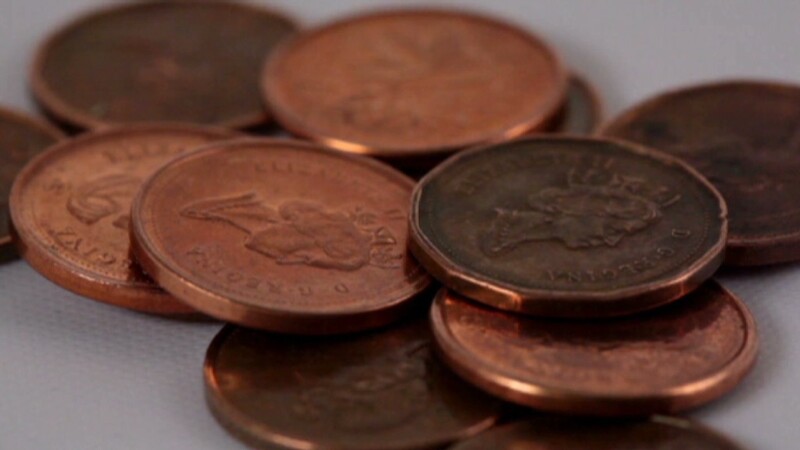 Canada is dropping the use of its penny today. And some economists believe the United States should be following its neighbor's example. The U.S. Mint spent 2 cents to produce and ship each of the 5.8 billion pennies sent to banks last year. But in addition to being a money loser for the Treasury, there are arguments that the penny has simply outlived its usefulness. Greg Mankiw, Chairman of the President's Council of Economic Advisers under President Bush, said American consumers have shown they don't value the penny, even if most polls show opposition to getting rid of the coin. "When people start leaving a monetary unit at the cash register for the next customer, the unit is too small to be useful," he said. Businesses say rounding to the nearest nickel would save time for both their cashiers and their customers. But they're reluctant to push for a change that could spark a backlash. That's exactly what happened last summer when Mexican food chain Chipotle (CMG) started rounding at some of its high volume stores. "Yes it would speed up transactions, and yes that is good," said Jeff Lenard, spokesman for the National Association of Convenience Stores. "But if it's a convenience that the customer doesn't want, we're not going to question the consumers' decision." Advocates for keeping the penny include Americans for Common Cents, a trade group supported by Jarden (JAH), which has a subsidiary which makes the zinc and copper blanks turned into pennies by the Mint. The group commissioned a poll last year showing that two-thirds of Americans want to keep the penny. It often cites a study by Penn State economics professor Raymond Lombra that estimates that consumers would end up paying a "rounding tax" of $2 billion to $4 billion over the course of two years if the penny is eliminated. Related: Kill the dollar bill for $1 coins instead? But Robert Whaples, an economics professor at Wake Forest, has done his own study looking at thousands of convenience store purchases. That study shows consumers as a group would break even if stores rounded to the nearest nickel. He said so many pennies fall out of circulation each year because consumers don't see them as valuable, raising both the costs to the Mint as well as the economy as a whole. "The main argument against the penny is that it wastes our time," he said. "We're clearly losing money on the penny." Besides Canada's example, other countries have dropped their lowest denomination coins without problem. But Whaples conceded that killing the penny is unlikely since the public isn't eager to give up the coin. "The vast majority want to keep a penny, regardless of all the good arguments against it," he said. "It's a sentimental attachment."